End of the iPod Era? Worried That Your Cellphone Is Harming You? The Guardian's Charles Arthur says that sales of Apple's music player are heading for a long-term decline that could affect digital music downloads, and he speculates as to whether connectivity - WiFi, mobile phone, Bluetooth, or all three - could alter that. Link: End of the iPod Era? Have Sales Peaked? ZD Net's Adrian Kingsley-Hughes says he's been using cellphones for more than 15 years, but noticing that lately hardly a week goes by where he doesn't come across a study or report suggesting that using (or sometimes even just holding) a cellphone could be causing him harm. Kingsley-Hughes's inference is that there's very little science behind much of what is being said, but adds that when there's any sort of widespread liability issue that even touches on big business, there's a vested interest in keeping everything as muddy and unclear as possible. Link: Are You Worried That Your Cellphone Is Harming You? "Radiation in the movies and comic books may seem cool as it may provide superpowers such as the Fantastic Four or the Hulk. In real life radiation and prolonged exposures is known to cause cancer. This past August saw the publishing of Cellphones and Brain Tumors: 15 Reasons for Concern; a document authored by forty leading scientists warning about the use of cell phones and their emission of radiation. "In 2004, the FCC conducted an investigation of numerous products claiming to reduce cellphone radiation. All claims were found to have no scientific basis. Pong is the first product to meet international testing standards for SAR reduction and has been verified by industry leading laboratory Cetecom to reduce SAR for the iPhone 3GS in the WCDMA 1900 by over 60%." Also see Pong iPhone Case Reduces Cell Phone Radiation by 60%. PR: Witel Corp. has announced that its application, Witel for iPhone, will be available on the Apple App Store beginning today. The app also adds Witel service to any second generation iPod touch with a compatible headset and microphone. Make Free Witel-to-Witel calls from any WiFi zone. Make Calls to non-Witel phones in 48 countries for only $19.99 a month. Receive calls to your Witel number anywhere in the world for Free. The Witel application is a perfect addition for home users who want to save money on their phone bills, businessmen who travel often and are sick of paying roaming charges, or families who wish to keep in touch with their loved ones for free. Witel users now have the choice of either buying a Witel Jetter for only $59.99 or downloading the Witel application to their iPhone or iPod touch. "We are excited to be launching our iPhone application and placing Witel into the pockets of millions of people around the world who are carrying iPhone and iPod touch devices," said Gary Tsitron, Witel's Chief Executive Officer. "A Witel application for the iPhone has been the leading request from our users so we worked hard to deliver one in record time." A Video demonstrating the Witel iPhone Application and its various uses can be viewed on our website at witel.com. The Witel application for the iPhone or iPod touch will be available for free from Apple's App Store on both devices. PR: Pioneer Electronics (USA) Inc. releases its first iPhone application created for use with Pioneer's new AVIC-U310BT and AVIC-Z110BT in-dash navigation systems. Pioneer's AVIC FEEDS App establishes a link between the Apple and Pioneer products, letting iPhone owners find points of interest or search for destinations ahead of time on their phone and easily access them via Bluetooth from their Pioneer navigation systems. This eliminates the need to jot down or manually enter address information into the Pioneer unit and allows drivers to receive convenient turn-by-turn voice guidance while still being able to use their iPhone for other purposes. Through independent research, Pioneer discovered that a significant percentage - more than 22 percent - of registered Pioneer navigation system owners also own and use an Apple iPhone. "We are continually looking for ways to enhance a driver's experience by providing high quality navigation and entertainment products that incorporate convenience and safety features," said Ted Cardenas, director of marketing for the mobile business group of Pioneer Electronics (USA) Inc. "After researching what technologies and consumer electronics products our registered owners embrace, we identified a natural opportunity to integrate the features and functions of our navigation systems with Apple's iPhone." Destinations created from a POI search or geotagged photos are converted as a phone contact to the navigation system via Bluetooth. Once the phone book is synchronized, the routable contacts are identified by a unique icon that appears next to the contact in the navigation system. By selecting that contact, Pioneer's navigation system will calculate a route and provide turn-by-turn guidance to that location. AVIC-U310BT and AVIC-Z110BT owners who want to take immediate advantage of these convenient features can download the Pioneer AVIC FEEDS App for free from their iPhone at pioneerelectronics.com or the iTunes store. Consumers who have not yet invested in a navigation system or an iPhone can purchase these products for under $700 - the AVIC-U310BT ($599) and iPhone ($99), plus subscription and other fees associated with the Apple device. Pioneer's AVIC-U310BT is the best value in in-dash navigation, offering robust, full-featured route guidance, CD playback and the convenience of built-in Bluetooth for handsfree calling and iPod/ iPhone control. The AVIC FEEDS App is also fully compatible with the AVIC-Z110BT ($1,599), Pioneer's flagship in-dash navigation AV receiver featuring DVD playback, built-in Bluetooth, voice recognition, text-to-speech guidance, an advanced touch screen interface and more. PR: For many, any job is better than no job in a poor economy. The Earnometer iPhone application by Wry Apps is designed to help good employees endure unpleasant work situations. The Earnometer allows users to track income as it is earned in real time, right down to the millionth of a dollar, while sitting through pointless meetings, dull conference calls and inane conversations with nitwits in the workplace. The Earnometer app is a humorous presentation of a common but unspoken reality - many people work because the money they earn outweighs the aggravation of their workplace. The brainchild of two technology industry veterans, the Earnometer was originally built as a way to alleviate anxiety from a brief consulting stint at a failing company. They needed comic relief. Amid impending business failure at the company, the two came to the realization that their coworkers were staying aboard only because they needed the income. If they could humor themselves, they could better endure the deteriorating situation. Thus the Earn-O-Meter was hatched. Initially built as an in-joke amongst a few office friends, the new Earnometer iPhone app calculates and displays user's income six digits to the right of the decimal point. Updating in real time down to the millionth of a dollar, figures whiz by almost faster than the human eye can perceive. The effect is as intended - Earnometer users visualize that a 20 minute meeting with an annoying coworker may be unpleasant, yet is also profitable. A mindless three hour conference call nets real money. Workday rough spots are mitigated when one can see daily earnings piling up with stopwatch quickness and accuracy. "Work can be both satisfying and aggravating," says Wry Apps President Stephen Brown. "Almost everyone goes through experiences at work that challenge one's ability to remain sane. The Earnometer uses humor to defuse otherwise intolerable workplace moments," according to Brown. More information about the Earnometer is on Twitter, YouTube, and Facebook. PR: ICS Mobile has announced that Navy Patrol: Coastal Defense is now available for the iPhone and iPod touch. Navy Patrol: Coastal Defense for iPhone and iPod touch is a hybrid application which brings several new layers to the Tower Defense genre by incorporating Role playing game (RPG) and real time strategy (RTS) elements into a highly realistic water based environment powered by ICS' AWS Fluid Simulation Engine. Our main objective was to reinvigorate the tower defense genre by bringing a more intense and engaging gaming atmosphere to players. We wanted to provide players with a multitude of tactical elements which will give them the freedom to personalize their game strategy. ICS Mobile announced today that Navy Patrol: Coastal Defense is now available for the iPhone and iPod touch. Navy Patrol: Coastal Defense for iPhone and iPod touch brings several new layers to the Tower Defense genre by incorporating RPG and RTS elements into a water based environment supported by the company's AWS Fluid Simulation Engine. Navy Patrol: Coastal Defense contains hundreds of hours of gameplay which will be prolonged by regular maps and specials updates. The studio also announced that as a special offer, Navy Patrol: Coastal Defense is available for the introductory price of $2.99 for the first 48 hours before it moves to its standard price of $4.99. "The development process for Navy Patrol: Coastal Defense was a real challenge since we needed to simultaneously develop a fluid simulation engine, an open path tower defense game as well as a completely new RPG inspired experience points system," said Joe Bayen, CEO at ICS Mobile. Navy Patrol: Coastal Defense for iPhone and iPod touch includes a variety of unique features such as a "Turret Targeting System" which gives players the freedom to micromanage each individual turret during gameplay as well as a "Skills Tree System" which unlocks a variety of weapon specials ranging from missile barrages,B52 air raids and Tsunami waves to the unique "Touch-guided" satellite laser attack and accelerometer-controlled storm special. "Our main objective was to reinvigorate the tower defense genre by bringing a more intense and engaging gaming atmosphere to players", said Andrew Zeck lead programmer on Navy Patrol: Coastal Defense. "We wanted to provide players with a multitude of tactical elements which will give them the freedom to personalize their game strategy." A social gaming environment was also embedded within the application with a full integration of Facebook Connect. Nonetheless, ICS Mobile will also remain fully engaged with its gaming community through the Navy Patrol game forum. The forum is designed to be an exchange platform where Navy Patrol enthusiast can share their gaming experience as well as game tips and scores. The game forum will also provide a direct connection to ICS Mobile's development team which welcomes feedback as well as suggestions for new maps and specials for upcoming game updates. Navy Patrol: Coastal Defense is the first installment of the Navy Patrol series, the studio states that each upcoming titles will use the AWS engine as a core platform, however each game will possess its own distinctive strategic theme and gameplay. Navy Patrol: Coastal Defense for the iPhone and iPod touch is now available worldwide via Apple's App Store for $2.99 for the first 48 hours and $4.99 thereafter. PR: Haneke Design announced the enthusem iPhone application at the prestigious DEMOfall 09 software show in San Diego, CA. Haneke Design collaborated with ProspectSmarter, Inc., also based in Tampa, to mobilize the web application version of enthusem for the iPhone. ProspectSmarter, Inc.'s enthusem, which has attracted thousands of users during its beta release, makes it fast and easy to send real printed greeting cards that seamlessly integrate online content. "We're very fortunate to have had the opportunity to work with Steve Tingiris and the ProspectSmarter team to mobilize the enthusem web application," said Jody Haneke, founder and president of Haneke Design. "They created a well-defined, open API that was so easy for us to work with. We completed our iPhone app a month ahead of schedule and it will be available in the AppStore for anyone to download and enjoy this month." Enthusem cards contain a personal message and image, so the cards are printed one-at-a-time and mailed every business day that the postal service operates. The printed greeting cards are mailed in a premium vellum envelope with first class postage speeding them along to just about any place in the world. There is no sign-up fee or monthly subscription for personal enthusem accounts. Users simply create an account and pay for cards as they send them or purchase credits in bulk at a discounted rate. Haneke Design has extensive experience in mobilizing web applications in the form of installed iPhone applications as well as optimized mobile web sites. The firm's deep knowledge of Apple's technical requirements for iPhone applications has made them a go-to resource for some of the country's top brands. Additionally, Haneke Design has met the challenge of delivering web content to the vast majority of handsets in use today. PR: PhotoList version 2.0 brings more options for sharing your photo albums, including the ability to transfer pics to and from your computer via FTP. It's now even easier to save and share pictures from your iPhone. Screensaver which rotates through photo collection. The app is still $1.99 and version 2.0 is available now in iTunes. PR: Mariner Software, developers and publishers of professional and personal software, have announced the immediate availability from the App Store, Mariner Calc 2.0. Significant in this version is the systemwide cut, copy and paste, as well as the ability to email (outgoing) files. All of the new features in Mariner Calc 2.0 have been tested and function on the iPhone 3.0 and 3.1 operating system. Whether an enterprise, small business or home user in need of access to Excel files on an iPhone or iPod touch, Mariner Calc is the perfect solution. View and edit native Excel files .xls Excel 97 and higher, supports multiple sheets and wirelessly transfers files. Mariner Calc for iPhone includes 24 math functions, 18 finance functions, 17 trig functions, 13 statistics functions, 14 lookup functions plus logic, date, text and info functions and more. It also supports splitting panes and freezing, as well as creating borders and changing fonts, colors and alignment. Landscape and portrait views are both available. Mariner Calc is now available for purchase from the App Store for $6.99. It is a free upgrade for all Mariner Calc customers who have purchased 1.X and requires iPhone OS 3.0 or later. For more information visit the Mariner Calc for iPhone product page at the Mariner Software web site. PR: BitWink introduces Zoom Lens 1.0, their new digital camera zoom for iPhone. Offering precise pinch-to-zoom control of the real-time camera view, Zoom Lens 1.0 brings an 8x digital photo zoom to the iPhone with automatic sharpening of the resulting photo and full-resolution output. Using a beautifully minimalist interface, Zoom Lens 1.0 offers a user experience that will be instantly familiar to iPhone photography enthusiasts. Presented with the familiar camera interface augmented with a retro-analog zoom indicator, the user simply pinches the live preview to set the level of desired zoom. 3GS users can continue to single-tap to set the focus point at any zoom level. When the shutter is pressed an automatically-sharpened preview is displayed for the user to pan and zoom across prior to saving. "Zoom is a feature that every iPhone camera user wants. It's a bit of a mystery why Apple don't include it as standard." said Matt Farrugia, founder of BitWink. "There are alternatives available on the App Store but we could see from the reviews that users weren't satisfied with the experience being offered. We asked ourselves, if Apple did zoom, what would it look like? It seems obvious that pinch-to-zoom should be the metaphor, so that was our starting point, and we kept it very simple, very focused from there. It's not a bells and whistles app - just one thing, done really well." Zoom Lens 1.0 for iPhone may be purchased now for an introductory price of $0.99 and is available exclusively through Apple's App Store. "I go through quite a few mobile phones, but one of the main reasons I always have made sure I had a Windows Mobile device at hand was so that I could access and use Laridian's PocketBible application. Yes, an application has been so important to me personally that I have purchased and used devices just to be able to use that application. I have been beta testing an application that I am very excited about and am pleased to tell you all that PocketBible for the iPhone/iPod touch is now available in the App Store for FREE...."
PR: Over the last several years, there has been a fundamental shift in the way designers work - projects have become more digital, and inspiration more spontaneous. Pantone LLC, an X-Rite company and the global authority on color and provider of professional color standards for the design industries, today announced myPantoneT, an iPhone application for the changing needs of today's designer. myPantone gives graphic, digital, multimedia, fashion, interior and industrial designers the freedom to capture, create and share Pantone Color Palettes - wherever they go and whenever they find inspiration. "myPantone marries the power of the iPhone with the inspiration of Pantone Color Palettes, enabling designers to be creative whenever inspiration strikes them. 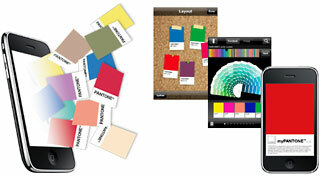 Providing a digital, portable design studio and essential color tools at their fingertips, myPantone gives designers the freedom to access Pantone Colors anywhere, without the need to be in their office or carry around cumbersome guides," said Andy Hatkoff, vice president of technology licensing for Pantone. "Now with myPantone's Portable Color Memory™ in their pocket, designers no longer need to agonize trying to recall an exact color." myPantone takes advantage of the iPhone's built-in camera to let designers capture whatever inspires them - from architecture and street scenes to fashion and nature. Colors can be extracted from any photo on the iPhone and then matched to the closest Pantone Colors. myPantone is available for download at the Apple iPhone App Store for $9.99/€7.99/£6.99. myPantone is compatible with iPhone OS 3.0 or higher, and can be used on the iPhone or iPod touch. PR: Utility Warrior introduces The Tale of Peter Rabbit by Beatrix Potter, their new children's animated audiobook for iPhone and iPod touch. Designed specifically to leverage the iPhone's unique abilities and peerless interface, The Tale of Peter Rabbit is a moving audio book based on the classic children's story by Beatrix Potter. This is the first in a series of the company's "moving audio" range of audiobooks. Peter is a naughty little rabbit who gets into trouble when he goes into Mr. McGregor's garden and eats some of his vegetables. Whether keeping the little ones occupied on journeys, or helping them learn to read, The Tale of Peter Rabbit features a compelling narrated story, with beautifully illustrated images based on the originals by Beatrix Potter herself. Illustrations actually move around and zoom in and out of the screen while they listen to the narration, and offers a unique way to keep young children engaged. Additionally, the application contains the full book, so once it is downloaded there is no need for an Internet connection. The story scrolls across the bottom of the screen with the current word highlighted as it is read, and the story can be paused and resumed at any time. The "Read to me" lets a child enjoy the timeless antics of Peter Rabbit. The "I'll read" mode lets a child read at their own pace. As they read the story for themselves, they just touch the word as they read it; the illustrations will change with each chapter but they will not be fully animated so that there is no visual distraction while they read. Two Modes for learning: "Read to me" and "I'll read"
"Young children are under-represented with apps in the app store," said Adrian Nelson, founder of Utility Warrior. "Based on my experience with my own children, I know how important it is to stimulate a child to learn to read - which must be just about the most important life skill a parent can teach their child. In order to help children learn to read and associate word sounds with letters, I felt it important to highlight the word as they were being read in the narration and then give the child the option of trying to read it at their own pace as well without narration. So in the case of this audiobook, I wanted to learn how to synchronize narration and images in a fun multimedia type way - and the best way to learn something is to do it - and do it well." The Tale of Peter Rabbit by Beatrix Potter is $1.99 and available worldwide, exclusively through the App Store under the Books category. PR: comiXology has just released a free version of its Comics by comiXology app that includes all the free comics (30+). It's only if you wish to become a comics consumer that will you need to buy the version that offers in-app purchasing. 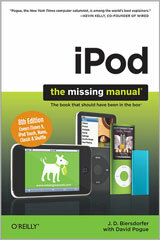 PR: Get the scoop on iTunes 9 and all of the newest iPods with this best-selling Missing Manual. Apple's gotten the world hooked on portable music, pictures, and videos with its amazing entertainment center, but one thing they haven't delivered is an easy guide for getting the most out of it. That's where this book comes in. Available in November and for preorder now. Preorder from Amazon.com for $13.49. PR: World-renowned photographer and director Chase Jarvis today announced the launch of an ecosystem - the first of its kind, including a new book, a new app, and even a new online community - centered around the idea that The Best Camera Is The One That's With You. With the new iPhone application "Best Camera App" now available on the App Store, an online photo-sharing community, and a book, this unique project encourages photographers, both amateur and professional, to explore and share their vision with the world. With only an iPhone 3GS in his pocket, Chase has an endless outlet for creative expression, inspiration, and photography at the click of one button. As more than 2 million visitors discovered (in just 72 hours), when Chase Jarvis published his first iPhone gallery, the iPhone is truly capable of creating and sharing interesting and intriguing images. The Best Camera App allows users to creatively edit and share iPhone images more simply than ever before. There's a unique set of filters and effects that can be applied at the touch of a button. Stack them. Mix them. Remix them. There are virtually infinite creative possibilities. The Best Camera App also allows users to share their images directly with the world via Twitter, Facebook, e-mail, and www.thebestcamera.com, a new online community where iPhone users can contribute to a living, breathing gallery of iPhone photography from around the globe. This virtual exhibition displays images uploaded by Best Camera App users and lets them vote for the images they like. Chase has pulled a collection of his iPhone photography together into an amazing visual journal. Proving the phrase he inadvertently coined, The Best Camera Is The One That's With You, his new book released by New Riders, part of the Peachpit family of creative imprints, reveals what is possible with an iPhone camera. In The Best Camera Is The One That's With You, each page displays a beautiful image taken with his iPhone, with Chase sharing inspiring anecdotes. "For me, this book has become a stake in the ground. With it, I hope to underscore - perhaps even legitimize - the idea that an image can come from any camera, even a mobile phone," said Chase Jarvis. "Inherently, we all know that an image isn't measured by its resolution, dynamic range, or anything technical. It's measured by the simple - sometimes profound, other times absurd or humorous or whimsical - effect that it can have upon us. If you can see it, it can move you. I am proud of the ecosystem we've created: this book, this app, and this community. Join us. I look forward to seeing your pictures." The Best Camera App is available for $2.99 from the App Store. The book, The Best Camera Is The One That's With You: iPhone Photography by Chase Jarvis, is now available at Peachpit.com, Amazon.com, Barnes & Noble, Borders, and other retailers worldwide. Berkeley-based Peachpit has been publishing the industry's best-selling books on the latest in graphic design, desktop publishing, multimedia, Web design and development, digital video, digital lifestyle, and all-things Mac-related since 1986. Its award-winning books feature authors who are at the top of their field, pioneering new techniques and new approaches. It is the home of the internationally recognized Visual QuickStart Guide series, the design imprint New Riders and its highly popular Voices That Matter series, and is the publishing partner for Adobe Press, Kelby Training/NAPP, Apple Certified, and others. Peachpit is part of Pearson, the international media company. Pearson's primary operations also include the Financial Times Group and the Penguin Group. PR: Kensington Computer Products Group has announced an innovative new car mount with amplified sound for use with any iPhone navigation application. The newest addition to the Kensington iPhone accessory line of products allows iPhone users to easily navigate while driving, as well as double the volume of turn-by-turn directions from navigation applications. As the mobile professional need for navigation capabilities increases, Kensington's new car mount combined with iPhone navigation applications offers users a cost-effective alternative to traditional Global Positioning Systems (GPS). "Kensington is delighted to once again offer a simple and affordable solution that allows mobile professionals to turn their iPhone into a navigation device," said Kensington Global Product Manager, Frederic Frappeau. "According to Strategy Analytics research, worldwide GPS enabled smartphone shipments are expected to increase 34 percent, from 57 million units in 2008, to 77 million units this year. Kensington sees this trend as an opportunity to provide smart, personal accessories that can make mobile professional travel that much easier for a more productive lifestyle." Give your iPhone GPS, podcasts, and phone calls a sound boost. The built-in amplification system in the cradle doubles the volume coming from your iPhone speaker, making it easier to hear your turn-by-turn directions, calls and more. The cradle mounts in seconds to the windshield or vents and holds your iPhone securely even on the roughest terrain. The Kensington Windshield/Vent Car Mount with Sound Amplified Cradle for iPhone will be available at all Apple stores beginning in early November 2009. 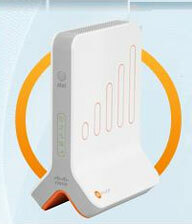 PR: AT&T 3G MicroCell acts like a mini cellular tower in your home or small business environment. It connects to AT&T's network via your existing broadband Internet service (such as DSL or cable) and is designed to support up to four simultaneous users in a home or small business setting. With AT&T 3G MicroCell, you receive improved cellular signal performance for both voice calls and cellular data applications like picture messaging and surfing the Web. Available unlimited minute plans - individual or FamilyTalk plans. 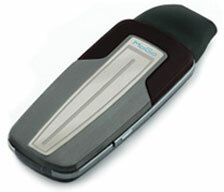 3G handset compatible - works with any AT&T 3G phone. Supports up to four voice or data users at once. Seamless call hand-over - start calls on your 3G MicroCell and continue without interruption, even if you leave the building. Installing your device near a window is strongly recommended to ensure access to Global Positioning System (GPS). A GPS link is needed to verify the device location during the initial startup. PR: MoGo Talk for iPhone is the first Bluetooth headset that can charge with your mobile phone and is capable of delivering superior audio quality in an ultra-thin (5mm) design. Mogo Talk's folding earpiece lays completely flat, enabling it to store and charge on the back of a mobile phone or inside a laptop. The MoGo Talk earpiece is specifically designed to comfortably fit inside your ear, not around a clunky speaker like other Bluetooth headsets. Product Delivery Expected September 2009. PR: Pong Research, a new research-driven company developing technologies to improve environmental health, has introduced the Pong iPhone Case, a protective case that reduces users' exposure to radiation from the phone's antenna. The Pong iPhone Case is a sleek silicone skin containing a proprietary technology module that redirects cell phone radiation away from the user's head. 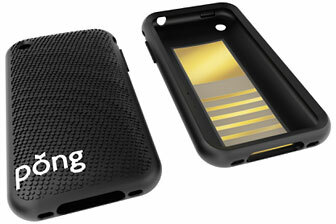 The Pong iPhone case is the first product proven by FCC-certified laboratories to reduce cell phone radiation. The case reduces the specific absorption rate (SAR, a mobile industry standard of measurement) by 60% and reduces intense 'hotspot' cell phone radiation (Electric Field Intensity) by 85%. The Pong iPhone case is immediately available for the iPhone 3G and iPhone 3GS, retailing for $59.95 through www.pongresearch.com. A BlackBerry model will be available later this year, with models for other devices to follow. "Because of my concern about the effects of non-ionizing radiation on the human body, I arrived at the position that redirecting this energy was the best approach," said Dr. Alfred Wong, chief scientist of Pong Research, professor emeritus of physics at University of California Los Angeles and director of HIPAS Observatory in Alaska. "It took us a number of years of research into putting the correct antenna structure in the case itself so that the case would couple with the energy from the phone's internal antenna." With the number of cell phone users worldwide growing from only four million in 1989 to over four billion in 2009, concerns about the link between cell phone radiation and cancer have steadily mounted. The French government in May banned the use of cell phones in elementary schools citing the 'principle of precaution' regarding children's vulnerability to cell phone radiation. In the United States, "Cell Phones and Brain Tumors: 15 Reasons for Concern," a landmark document signed by 40 leading scientists, was published in August. "Similar to smoking a cigarette," said Dr. Wong, "one cigarette won't kill you, but over years of exposure, the effect is cumulative. Many people are concerned about cell phone radiation, but out of necessity they continue to tolerate their own heavy usage. I think it's a matter of balancing the fear against the need." The Pong iPhone case is available now atpongresearch.com and retails for $59.95. The Pong for BlackBerry will be available late 2009. PR: Everyone knows less is more but less with more, that's a breakthrough. This stylish new iPhone 3G/3GS protective case features an ultra slim slot for bare necessities - ID, cash, debit or credit card. For heading into work or out to the club, give your wallet a break. Turns out sometimes, you can take it with you. 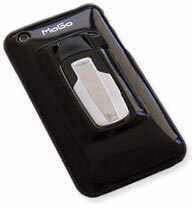 The iPhone 3G/3GS ID Case is the next wave in convenience for lifestyle engineers. This stylish new iPhone 3G/3GS protective case features an ultra slim slot for bare necessities - ID, cash, debit or credit card. For heading into work or out to the club, give your wallet a break. Turns out sometimes, you can take it with you. Peel the ez-slide film from the backing. Line up the film to the back of your iPhone and apply the film to the center working your way to the edges. Use the enclosed soft card to smooth out any air bubbles between the iPhone and the ez-slide film. Once the ez-slide film has been applied, slide one side of your iPhone into the case-mate ID Case, followed by the other. The magnetic strip of the credit card should be facing towards the phone when inserted into the ID Case. To remove a card, push up from bottom of the case or push up from the top of your credit card. PR: iPhone CAZE has released Argyle Love, a new style of its metallic series for iPhone 3G/3GS. iPhone case has become part of a fashion for iPhone users. 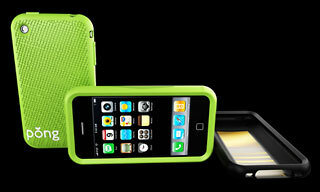 In view of this, CAZE presents Argyle Love for iPhone users to dress up his/her iPhone in this season's Hot Hues & Styles. CAZE is creating new case styles by mixing colors and pattern. In this new product, CAZE adorned a semitransparent shiny case with decorative stitching in the traditional argyle pattern. The Argyle Love features instantly-recognizable Argyle pattern and is available in Silver Black/Silver. (This is a true Limited Edition as only 250 cases of each color are available worldwide.) Traditional pattern on a shiny case gives a mix 'n' match fashion style and uniqueness possible. Customers who buy any case from CAZE will get a Free Mirror Screen Protector. To show your personality and uniqueness, take your pick from the new series to fit your personality: Argyle Love/ Silver Black and Argyle Love/ Silver. This series is available in Premium version and will be released on 30th September.